The low down on NLP. Introducing the Essential NLP podcast. 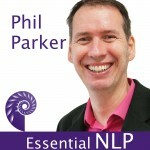 Using practical examples Phil explains what you’ll get through listening to the podcast series that you can apply to your life and why NLP is such a fascinating field to work in. Buy the rest of the series from the iTunes store.